People have been making music and dancing since ancient times, and that applies equally to the Middle Ages. 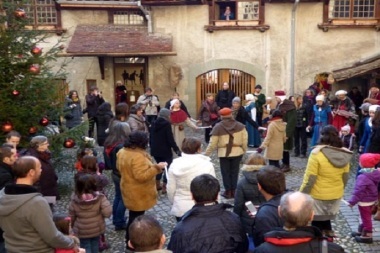 During this time people enjoyed celebrating with dancing, music and merriment as a form of expressing their solidarity. 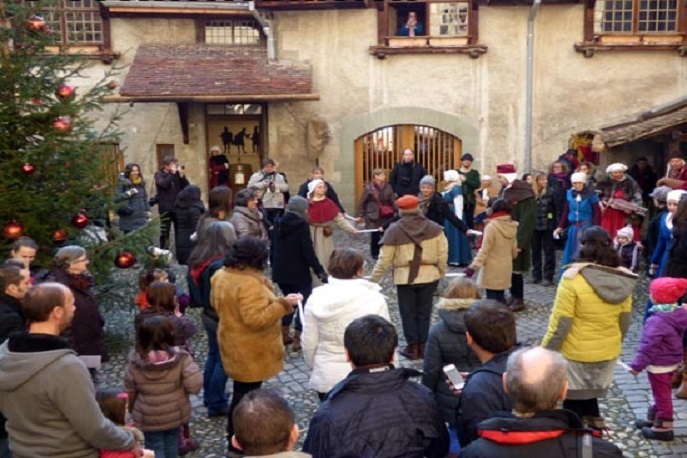 People have been making music and dancing since ancient times, and that applies equally to the Middle Ages. This era is often referred to as the “Dark Ages”, but not because everything was joyless and sombre. During this time too people enjoyed celebrating with dancing, music and merriment as a form of expressing their solidarity. The reason for it being labelled the Dark Ages is that very little is known about this period, and equally little information is available about dancing at that time and about the lives of those who danced. It was not until later during the Renaissance that dances, which were then also enjoyed by a new upper class in the cities, were recorded and described in detail. The “Orchésographie” by Thoinot Arbeau (1589), for example, has, to the present day, remained one of the most important sources of information on early historical dances. Some dances have even stood the test of time remaining virtually unchanged over centuries and with the choreographies passed on from one generation to the next. Only then when groups of people come together and keep the historical dances alive do they stand a chance of being preserved. 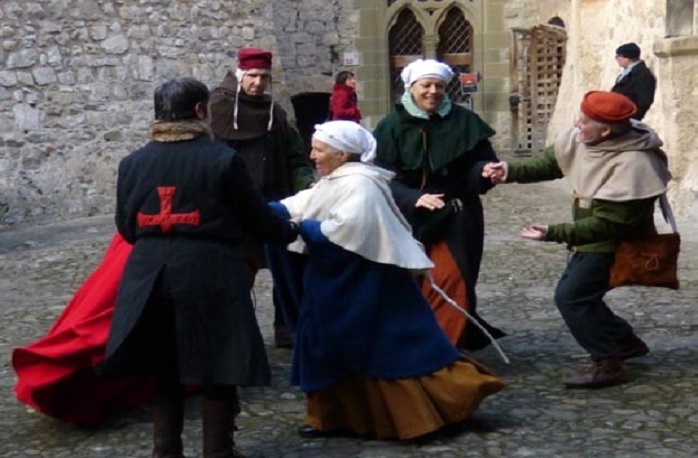 Together your group learns historical dances – some simple, some more challenging - from the Middle Ages and the Renaissance and even some modern dances which can be danced to historical music. Brief explanations are given on the steps and figures and long-winded theory is kept to a minimum. The main focus is on fun, enjoyment, togetherness in movement and the performance of dances as a group. Even for those who have no dancing experience, the simpler dances are easy to grasp for everyone who can move! Mistakes are allowed – but it helps if the group manages to find a common rhythm. During the partner dances you learn to communicate without words and to respond to your partner and his/her movements. Experienced dancers can try their hand at more challenging choreographies. Many of the dances are aimed at relaxing the participants, loosening everyone up and creating some laughter. Moving your body to music offers relief for people with jobs that involve sitting all the time, and it brings body and mind into harmony. Depending on the intensity of the dancing, it also offers an uplifting experience that boosts fitness and invigorates the heart. All materials, instruction and guidance by a dancing instructor. Nothing in particular / enjoyment in movement/exercise. 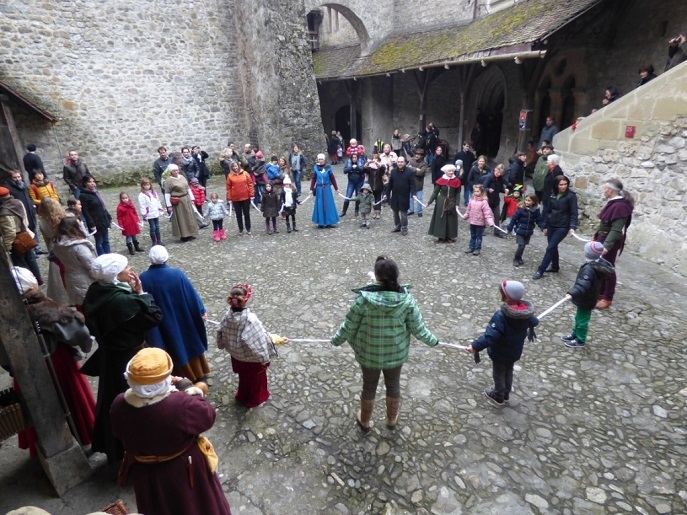 The event is particularly memorable if held in a historical location (castle, monastery, guild hall), possibly combined with a historical banquet meal to create an authentic Mediaeval feel. Good and, most importantly, comfortable footwear. If you’re going to be dancing outside, then sturdy shoes are recommended (e.g. trekking shoes). High-heeled shoes are totally unsuitable for these dances (and didn’t exist during the Middle Ages!). Casual clothing that allows for freedom of movement.